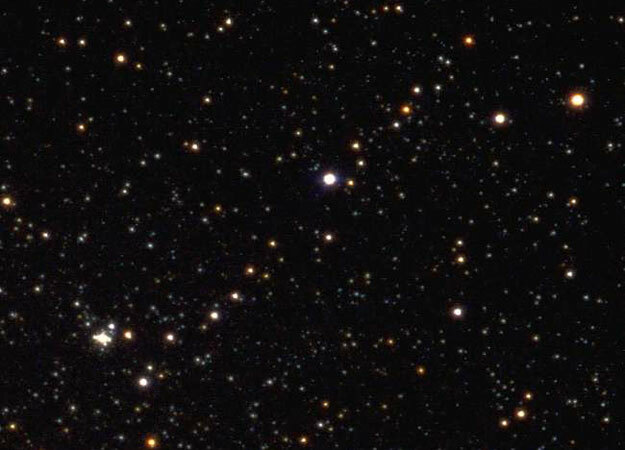 Explanation: A picturesque chain of unrelated stars is visible with strong binoculars towards the constellation of Camelopardalis. Known as Kemble's Cascade, the asterism contains about 20 stars nearly in a row stretching over five times the width of a full moon. Made popular by astronomy enthusiast Lucian Kemble (1922-1999), these stars appear as a string only from our direction in the Milky Way Galaxy. The above photograph of Kemble's Cascade was made with a small telescope in New Mexico, USA. 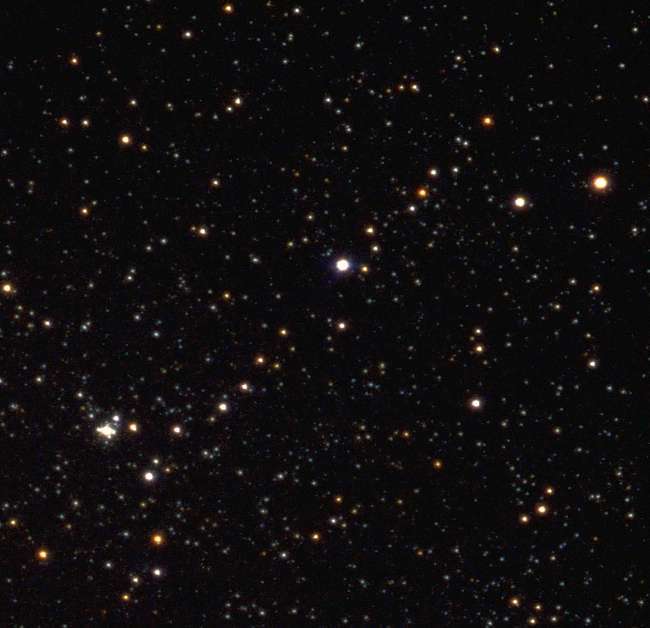 The bright object near the bottom left is the relatively compact open cluster of stars known as NGC 1502.